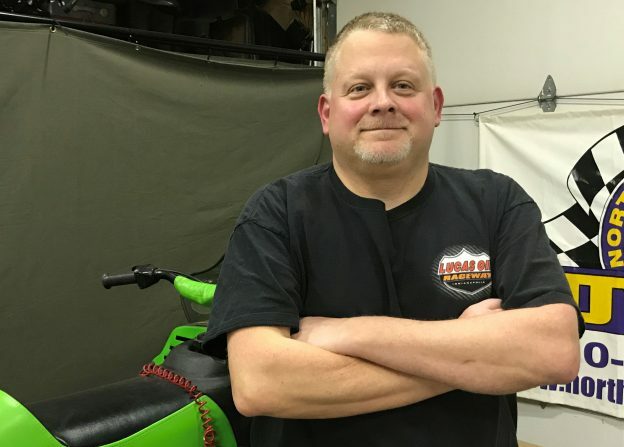 Following in his father’s footsteps, Pat Klingeman has taken things to the next level on snowmobile engines with custom machine work and designing his own two-cycle tuned expansion chambers that he builds from scratch. Klingeman feels the greatest sense of accomplishment comes from continuing the legacy started by his father. “It’s definitely in my blood. The excitement and accomplishment you feel is amazing because everyday is a new day,” Klingeman said. As with anything that is worthwhile, Klingeman has put the time in to reach the pinnacle of the sport. When he’s not fine-tuning engines, Pat spends time with his wife and two children. He also is continuing his family history as an electrician with “Joe” Dickey Electric. Over the last 30 years, Klingeman has learned some valuable lessons and skills that he reflected on. Klingeman feels that quality workmanship is what sets apart the Youngstown and Warren Area Electrical JATC from the competition. As for those looking to join the electrician trade, Klingeman believes the field sets you up for much success. With retirement is his sights, Klingeman would like to see some larger projects in the Mahoning Valley and be involved as much as he can.